CW U14 Girls - Where are they now ? As the girls game continues to explode in the lower island (and world-wide), it is interesting to see how those seeds were sown within the club some 5-6 years ago. The photo above highlights a crew of girls that came up through the mini ranks at CW or joined as newcomers to the game. Like the inaugural group of girls that started the CW girls program some eight years ago, this group is just as a special and has been instrumental in solidifying the girls pathway at the club. Of course, many players have followed and as we now launch into our 3rd and 4th wave of U14 players, it is interesting to look back to the original crew as many get ready to graduate from school and move onto University and other pursuits. While the athlete group is important, it worthwhile noting that these girls would not have developed if it were not for the coaching and management support around them. To that end, both the Cook (Aaron and Kerri) and Knaggs (Ed and Michelle) families deserve heaps of praise and credit. From those early days, it was these Rugby Dads with Daughters ("RDD"), Aaron and Ed, on the field and their partners supporting through team management and organization that have nurtured and grown this age group to what it is now. These RDDs have been cornerstones of moving this age group forward and being that critical bridge between the U12 co-ed format to the girls only format for so many of our mini girls. It has been an important milestone for the club to now have grown the program to 3 teams at each group and completing the full pathway with teams at U14, U16 and U19 levels. Kudos to both of these families ! Where are these girls now ? Renee Cook is now playing wing and flanker at a well known high school in New Zealand, Hamilton High School. 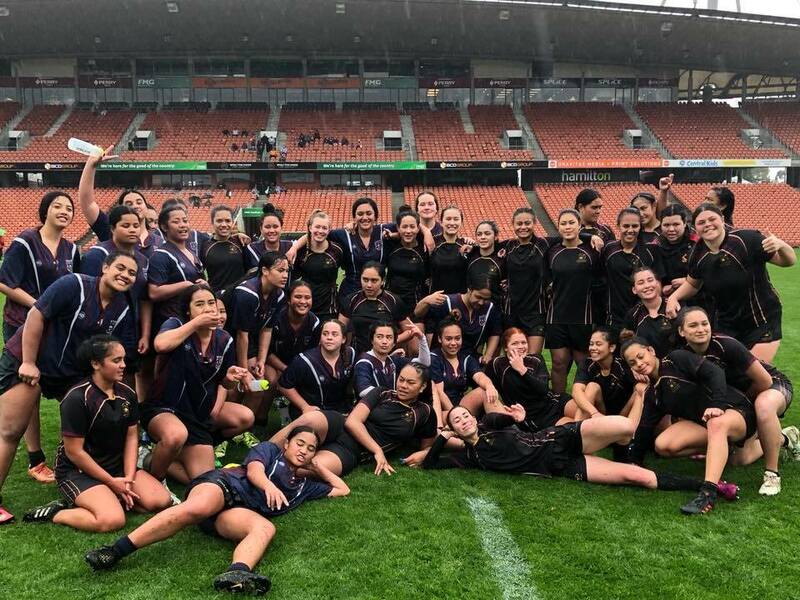 She has represented BC at 15s and in the past year in NZ, her big rugby moment was to part of the Hamilton High winnnig team in the 2018 NZ Barbarians National Girls 1st XV Championship (she is the blond girl in the back row)! Renee is continuing to grow her rugby skills in New Zealand and she is gaining with a truly world view of the game. Amelia Gordon, is poised to graduate from high school this year after representing her province in 7s and 15s and will be plying her abundant skills at UBC next year. While taking a break from the youth game this fall, we will hope to see Amelia get ready for her university career by playing with the CW Premier women’s team and the high school program at Oak Bay. Maelle Reed joined us a new player in the U14 division and has gone from strength to strength. 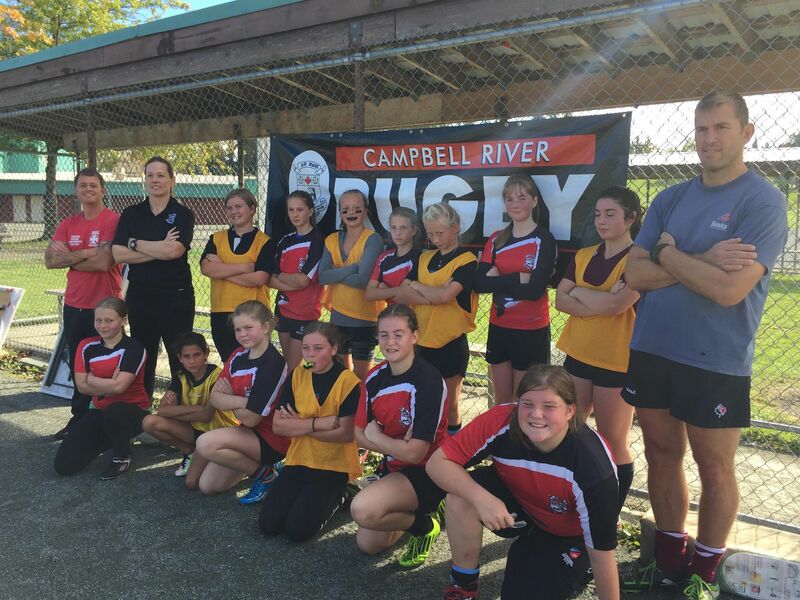 A Sport School attendee like Amelia, Maelle is now part of the Rugby Canada Academy in Langford. She has represented her province in 7s and 15s and was recently part of the successful BC tour to the UK. Chloe Hill-Huse who joined the U14 team as a brand-new player is now one of our senior girls stars and is part of the U19 team that is playing in the island final this Sunday. She and her parents have embraced the game and she has represented her province at 7s and 15s and has joined the ranks for the Celtic Barbarians invitational team that has seen her travel to Utah and Las Vegas. She is also an accredited referee and has been refereeing lower age grade games. Myrn Morrison was a mini and U14 player and has returned to the club as senior girl player (U19) after her family has had a stint working in Comox-Courtenay area. Many of the originals from this group (Rachel Kinahan, Taleesha and others ) have moved onto other sports or still enjoy rugby at the school levels. Jordon Vearer turned out for the Tide squad last year finding time between all of her other sports. Tennille Cole is a high achieving field hockey player (BC player and Canada age grade trials) after playing for our CW U14 crew. It has been exciting to be part of these athletes journeys and while it is important to achieve and it is also important for the girls to have fun while playing the game. As one can see from the banner photo, these girls and this age group in particular, know how to have a fun experience as a team. The fun aspect of this group continues with involvement in the last couple of years with stalwart CW club coach, Chris May and past player, Jeff Hayes. Of course, these coaches have daughters involved and continue the tradition of the Rugby Dads with Daughters ! Ed continues to contribute at the U14 level and Aaron has moved up to coach his daughter, Jorja, at the U16 level. CW Girls Program continues to thrive in large part due to their contributions and those that follow. As we are approaching the business end of the season, CW would like to thank the girls U16-U18 coaching team (Lauren Sargent, Olly Winser, Aaron Cook) and Manager (Brian Huse). For our current batch of U14 girls, big thanks to Chris May, Jeff Hayes, and Ed Knaggs and their marvelous managers (Tin Kwan and Judy Payne). As always, both teams have been well served by our dedicated athletic traininers - Hannah Hagedorn, and Marie Fish. 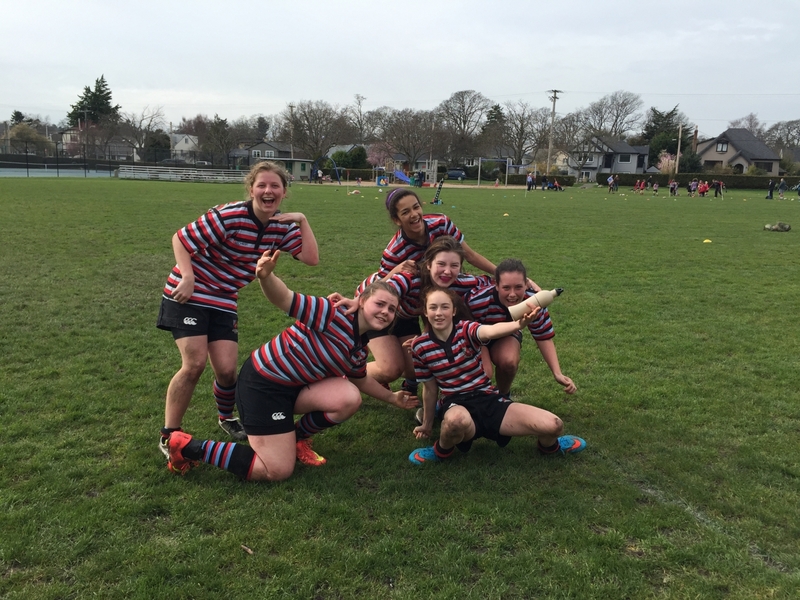 There is lots of girls rugby action this weekend with showcase games for the U14 girls and boys from all 3 Victoria clubs at the Men’s CIS university championship (15 min halftime game at 6:30pm at Centennial). In addition, Island championship games are this Sunday at Cowichan, with our U19 girls playing in the island final vs the North Island and our U16 girls competing against North Island for the 3rd and 4th positions. Hope to see you on the sidelines this coming weekend !